Relaxing boat tours for those who love boats, water, islands and the lagoon. Great opportunities for photographers! 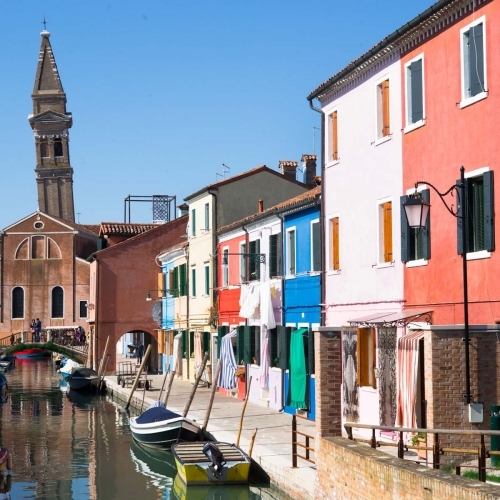 We reach by boat the island of Murano, a smaller Venice and from the Middle Ages the home of glassmakers. We experience glass blowing techniques in a glass blowing factory or in an atelier. 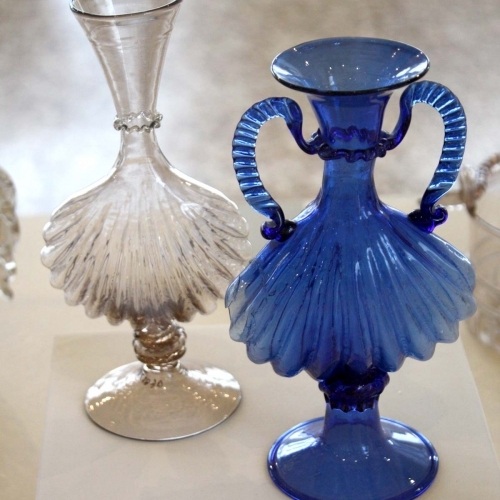 We also visit the recently rearranged Glass Museum in Palazzo Giustinian, unique in its kind, a splendid collection and tribute to the beauty and frailty of glass from the 14th C. up to present times. The masterpiece, the dark blue Barovier wedding cup and the dessert set called The Triumph will stun you. If time allows we have a look into the SS. Maria e Donato Church, one of the oldest churches in the whole of the lagoon with gorgeous floors and displaying the presumed bones of a dragon. For this relaxing excursion in the lagoon you need time and a boat, but it is worthwhile. 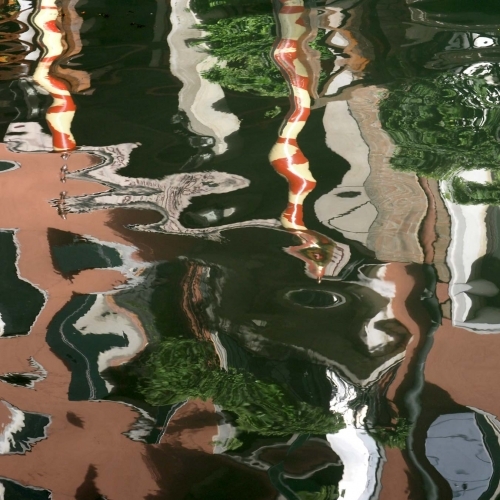 We start from Murano, from the Middle Ages the home of glassmakers. In a factory you are introduced to the secrets of glass blowing, vivid colours and ancient techniques will be explained. From there we head over to Burano, the island where the rainbow fell in the lagoon; the simple houses of former fishermen are brightly coloured; curtains and hanging laundry often match the colours of the houses and are all photographers can ask for… while taking pictures taste the typical ring shaped biscuit Bussolai and listen to the history of lace-making! Torcello is the final crowning of our day, we visit the old Cathedral Santa Maria Assunta and climb up the lonely brick Campanile. Our private boat ride lasts approx. 1 hour. We start from San Marco and head over to the lesser known attractions in the district of Castello such as the Greek San Giorgio Church, San Lorenzo Church, the square Saints John and Paul, the Northern part of the city, passing in front of the cemetery, then over to the Cannaregio district with the Madonna dell’Orto Church and the Ghetto. We will reach the Grand Canal and you will be stunned by the the sequence of the most famous palaces on this glittering waterway.